When Government of India decided to bring in a new Divorce Law (IrBM) to make Hindu Marriage Act and Special Marriage Act as Gunea Pigs, they thought, India will again sit quietly as Chemistry Lab ﻿first time students. The least they knew that neither this is 1983 (498A) nor it is 2005 (PWDVA 2005), it is 2013 and WE ARE HERE!! Bangalore Chapter, inspite of all odds and demotivations floating around with following news Articles, decided to jump into the swimming pool to see if it was water or mirage. Decision is still pending, but swimming is happening. It was an eventful day. 9 of us left Bangalore to meet the head of the Tumkur Mutt. Waited, waited and finally met the Mutt Seer @ 4pm. Then we waited for second seer @ mutt. He came @ 5PM. Had a 10 min interaction with him. He agreed that IrBM is a serious problem. We requested him if he could direct us to some MP. We requested if he could give us a reference letter. After 30 min we were given a reference in the name of the Hon’ble MP of Tumkur. 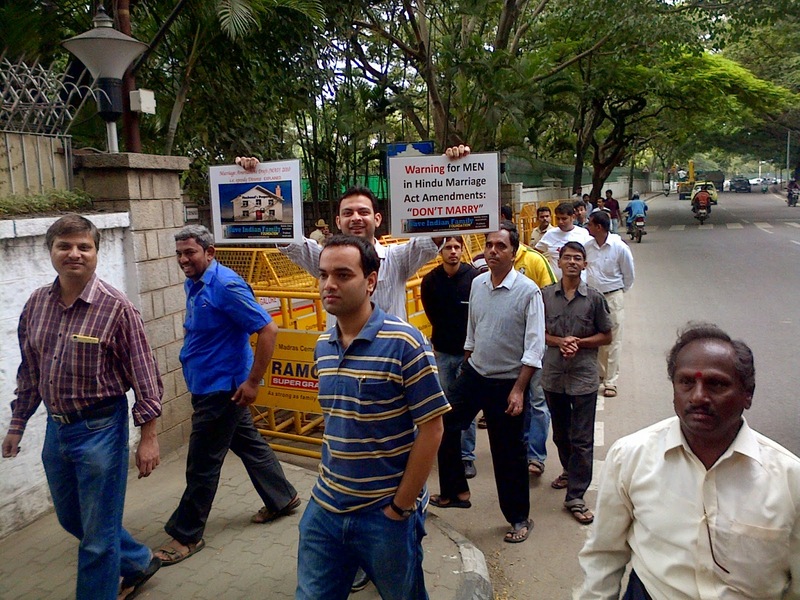 We, on the way stopped and made letters, annexures within 20 min and went straight to Hon’ble MP’s house in Tumkur city. We tried our luck by calling MP Sir directly. After 4 calls, he called back, and luckily, he was in Tumkur itself. We were made to sit and wait inside his house for 30 min. Once he came, we had a 30 min chat and raised our concerns to him. SIF commandos for this went in 2 cars. Moving ahead, we had an action packed Sunday too. Sunday we had decided to meet Hon’ble Chief Minister of Karnataka at his house in Bangalore. 5 commandos toiled since Friday night till saturday night asking members to join. 1 such call to NFHS member and to a CRISP member spread this news like wild fire with both these brother groups also asking their members to join this activity. 10AM to 11AM we waited for members to join and started when we became a 40 member crowd. We reached, “Krishna”, the house of Hon’ble Chief Minister at 11:10AM. 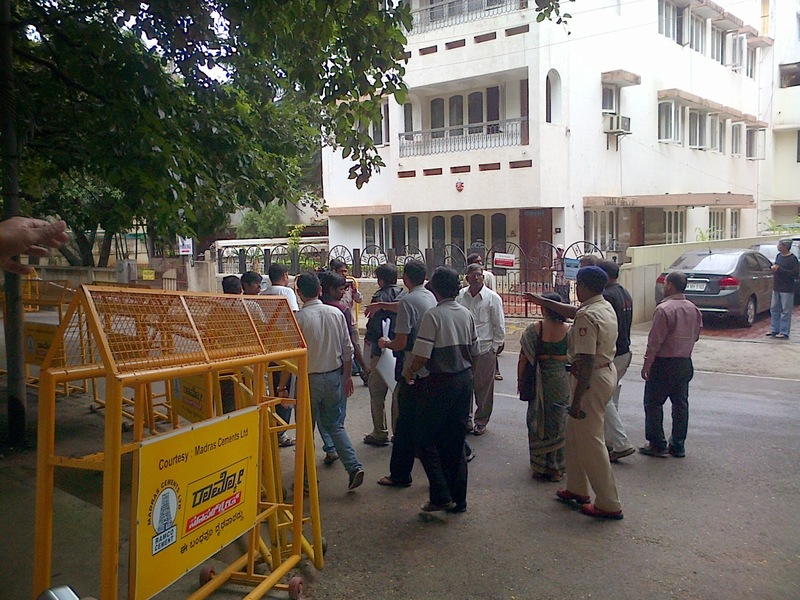 Security @ “Krishna” told us that CM Sir is in another house which was a kilometer away. We all quickly walked towards it. We were, as expected, stopped at 100M away by police and barricades. 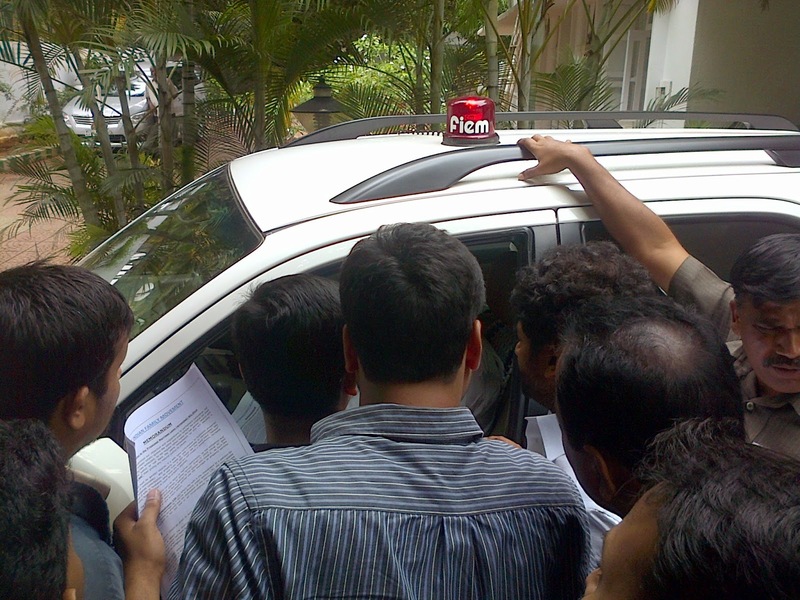 Police said, not all can be allowed inside and allowed 6 of us to go into CM’s residence. 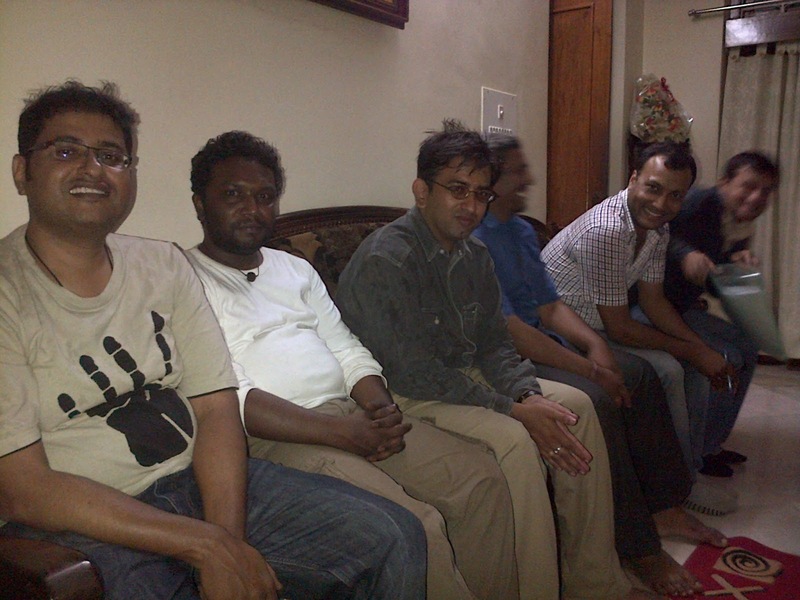 CS, SS, SA, NIR, SN, NIR’s mom and JB proceeded to CM Sir’s house. Security inside was cooperative and asked us to submit our memo. We requested that we want to meet CM. He asked us to wait. 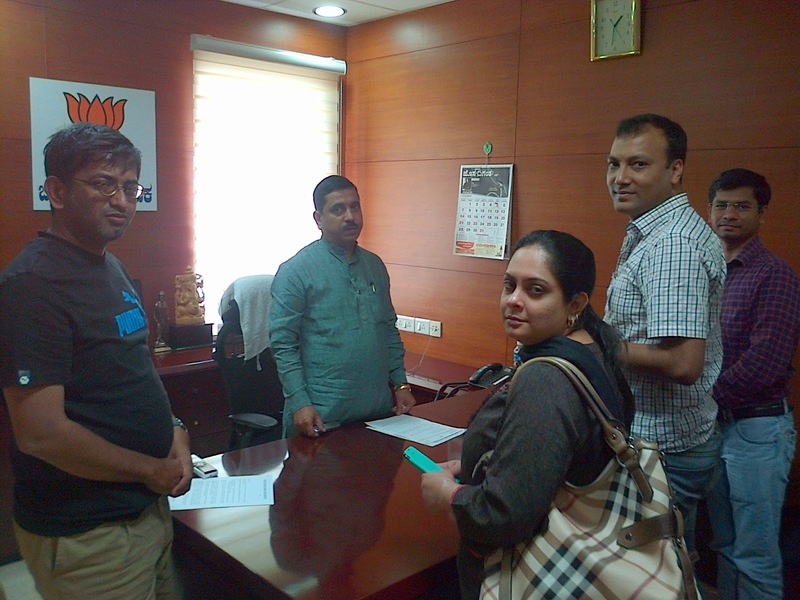 Then we went on the main door of house and met with CM’s PA. He also asked us to wait till 2PM. We agreed to wait. Cooperative security allowed all of us to come in finally after persuasion. So, now, we were 35 SIFians waiting to meet CM. While we waited for CM, we dint wait at all. 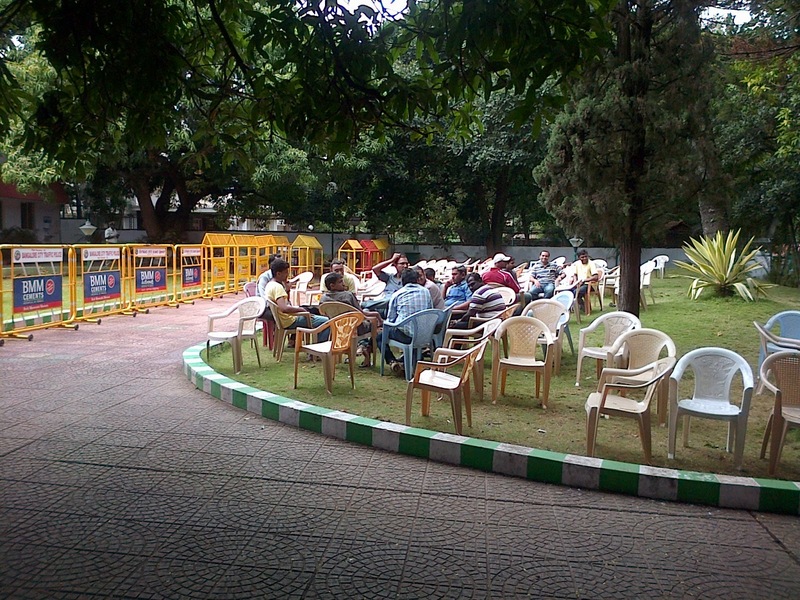 Multiple people spoke to multiple security men telling them all about IrBM, 498A etc etc. Most of those security officers took our numbers to send known unknown harassed men to us. At around 1PM, 3 Kannada TV Channels turned up. 12 members with SA and KK went ahead to talk to them. There police intervened saying that we can not pose with our banners for security reasons. SA and KK gave media inputs just outside the barricades. 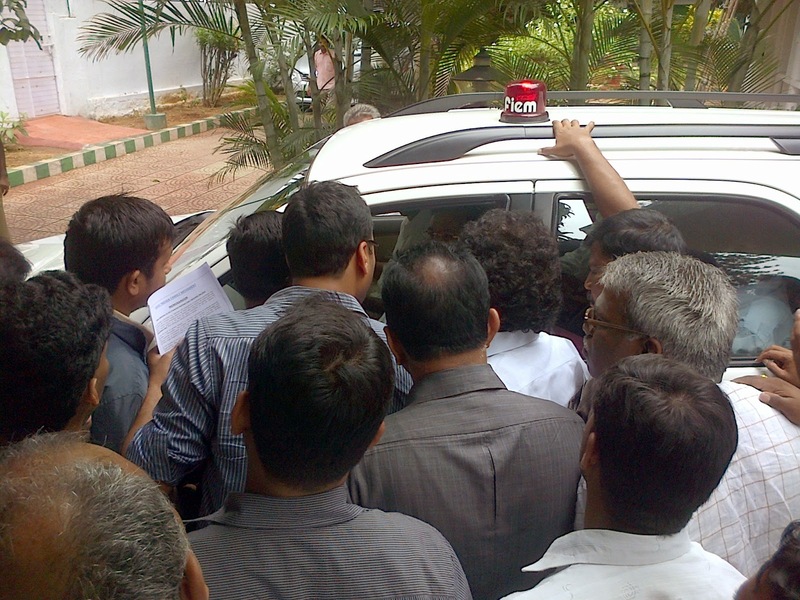 Remaining people inside the CM house got a glimpse of the Hon’ble Chief Minister getting into his car to move out for an emergency meeting. 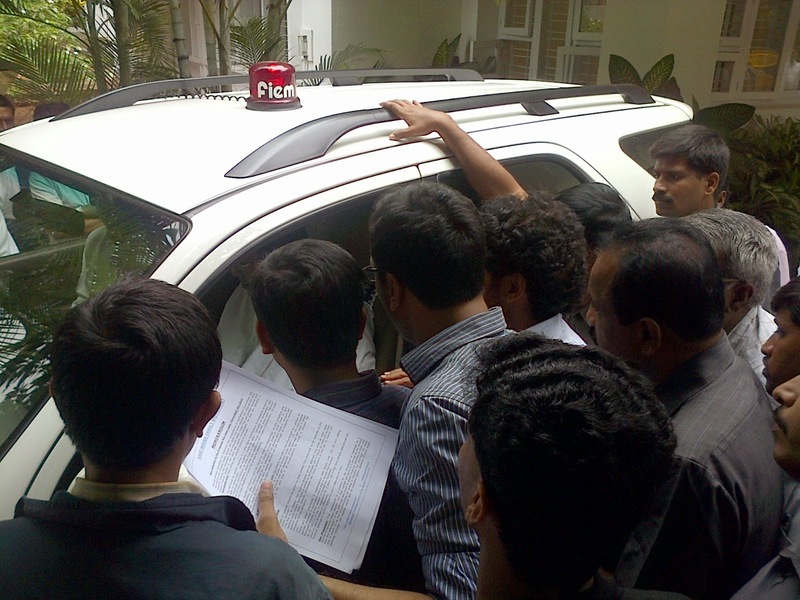 All of us surrounded CM Sir’s vehicle and had a 10 min chat with him outside. He assured us to look into our concerns and took our memo. 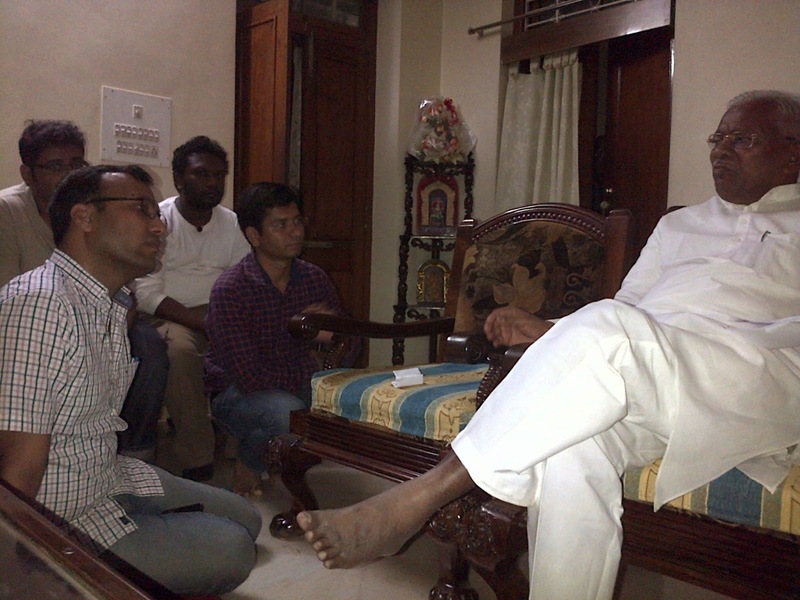 He also advised us to meet his constituency’s respected MP Shri Mallickarjun Kharge (Railway Minister). Energy levels were still high. 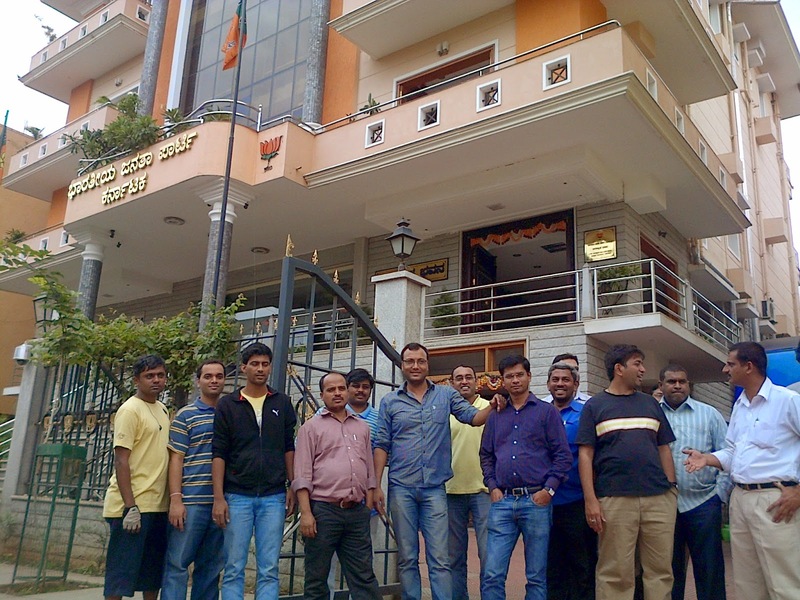 We decided to goto BJP office in Bangalore. 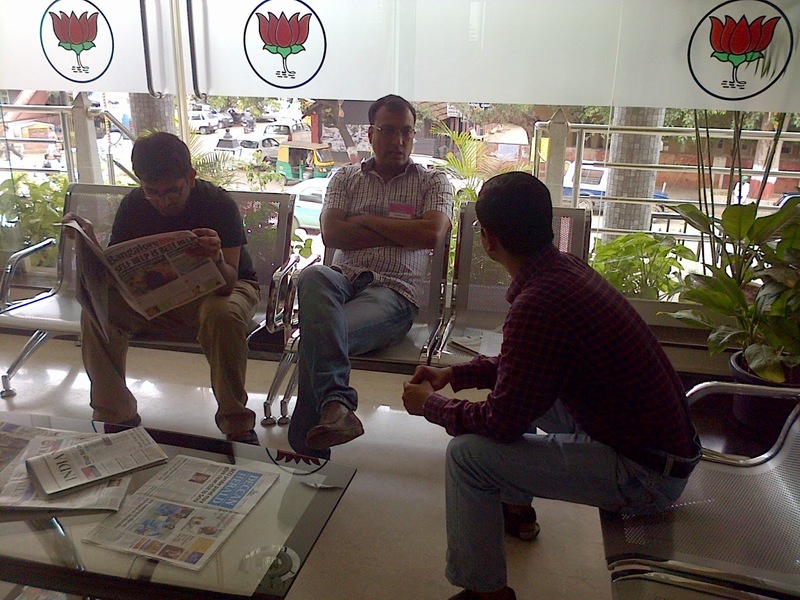 About 20 of us reached at BJP office around 3PM. Met cooperative manager there. Told him about our concerns for 20 min. He asked us to come and meet Secretary for BJP state unit on Monday. We submitted a letter here too to meet State Party President. Today morning we followed up our yesterday’s action at Karnataka State BJP office in Bangalore. We reached there today at 11 AM and followed up with our yesterday’s contact. He told us that the Vice President and President are here and we can meet them. We had to wait for couple of hours though! We first met the Vice President and explained him the IrBM situation. We answered his thoughts and proceeded to meet Mr. President. He patiently heard us. He listened to us for a good 15 minutes. We explained why this is a clear misuse intended law and what adverse impact it would have on Indian Family System. He asked us to send the copy of the memo, objections and divorce data to the Opposition leaders which has been sent already to be routed through the local BJP office in Bangalore. Newspapers in Bangalore carried news of SP supremo and Hon’ble Chief Minister of UP visiting Karnataka for a rally @ Chitradurga. SS advised to attempt meeting them. CS fished out the local contacts by calling them and got mobile number of a close aide of UP CM Sir. Aide shared that Supremo has just left for Delhi but he will try & arrange meeting with UP CM on Monday evening itself. It was 4PM that time. He asked CS to check with him at 6PM. 6PM he asked us to come in 40min to meet the Hon’ble UP Chief Minister. CS reached just in time followed by SS n JB. CS and Aide discussed for about 20 min and CS was able to convince for a 2 minute meeting slot with the Uttar Pradesh Chief Minister at 7:30AM for today. All 3 of us reached the hotel again today morning. 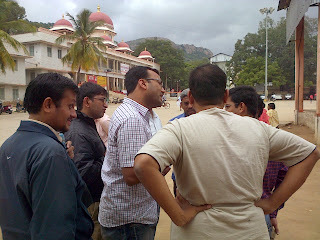 At around 8:15AM, SP State President came and we took his 10 minutes to explain our concerns. At 8:30 AM, Hon’ble CM came out and we 3 along with some 7 more visitors entered the room. After 5 second intro for other 7, State President introduced us as the NGO which supports harassed husbands. We added that we support harassed Men. For about 15 minutes we got good hearing from all men in the room along with CM Sir. We expressed our gratitude to Samajwadi Party for having clarity on how Women Reservation Bill could have been misused. We shared that over 10Lakh people have been jailed under 498A in last 10 years. We shared every 9 minutes 1 husband commits suicides. These data left them surprised. We shared with him that this data is from NCRB. We also questioned on WHY a close ally like SP was kept out of GOM for IrBM? great spirit & karma for a great cause.